DENVER — After picking up my press credentials for the beer festival at downtown Denver’s Colorado Convention Center on Wednesday afternoon, I walked a couple blocks down 14th Street to the Corner Office Bar, where one of the pre-events was taking place: GABF Survival Session. This provided an opportunity for beer media to wind down, and also wind up for the upcoming three days of beer drinking at the GABF starting in Thursday. It was beers, bites and brewers for three-plus hours. 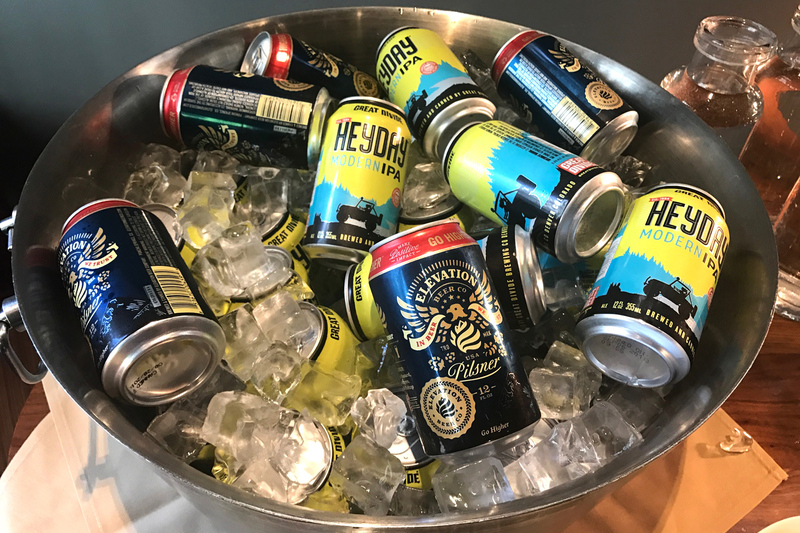 The beer included cans from two Colorado breweries; Elevation Pilsner and Great Divide’s Heyday IPA. 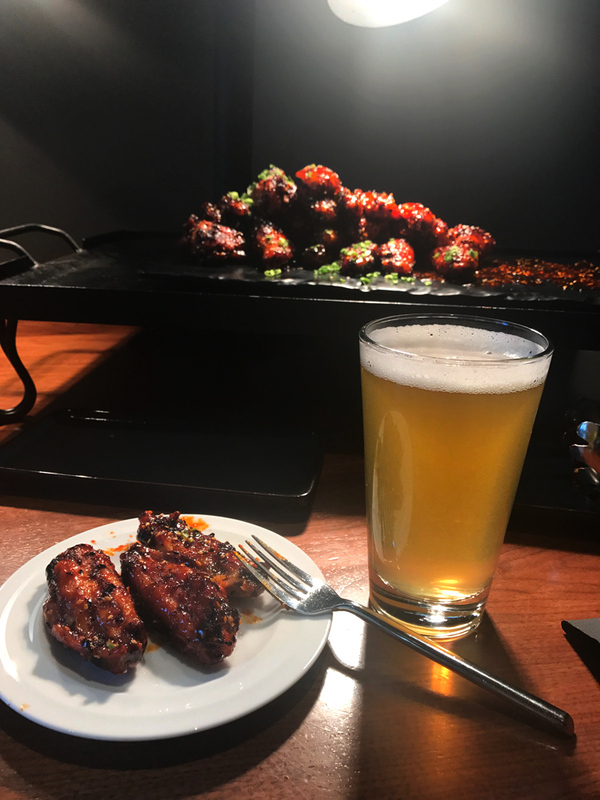 For solid substance, Korean chicken wings and pork gyozas were offered. The brewers in attendance hailed from such Rocky Mountain State Beer producers as Jim Rabun of Bonfire Brewing, Zac Rissmiller of 1623 Brewing, Greg Moore of Barrels & Bottles Brewery, Shawn Woodbury of Maxline Brewing, Jon Cross and Chris Bell of Call To Arms Brewing, Alyssa Hoberer of Lone Tree Brewing Company, Derick “Poke” Rivera and Greg Fetzer of Rockyard Brewing, and Ron Abbott of Seedstock Brewing. 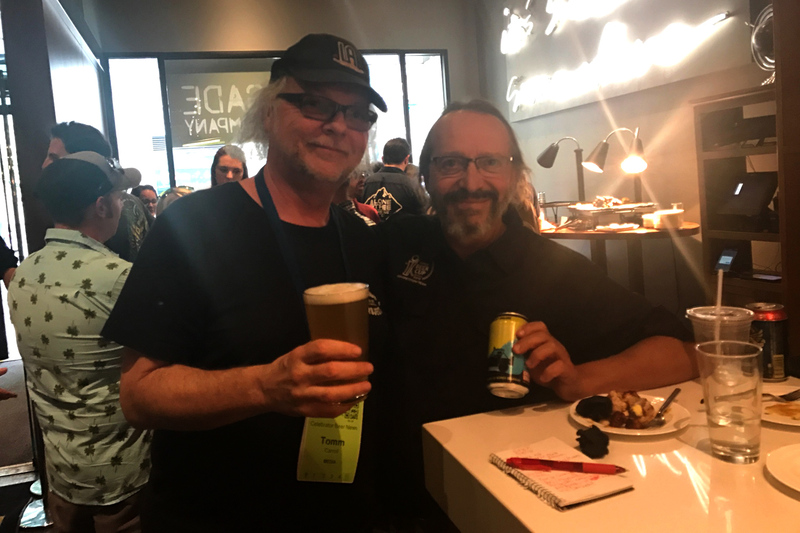 And it wouldn’t be a Colorado beer media event without an appearance by the Celebrator’s own Rocky Mountain correspondent, Dan Rabin! A casual but great time was had by all, as everyone was anticipating the opening of the 2018 edition of the fest Thursday afternoon. Those of us not used to drinking a mile above sea level got our “beer legs” in shape for opening day (I hope) and then split for other destinations. Shortly before dark, a windy downpour drenched the Denver streets for about 20 minutes. Having precious little sleep the night before, I headed back to my Airbnb for some shut-eye to get prepared for GABF opening session on Thursday.